I got wind of a new Horror short coming soon called The Prospectors Curse. The film has now wrapped and is in post production. We are awaiting news of release and availability but what stands this out from many, many other horror shorts at the moment? 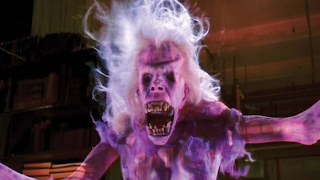 Well, one thing was the involvement of Familiars’ very own Robert Nolan. 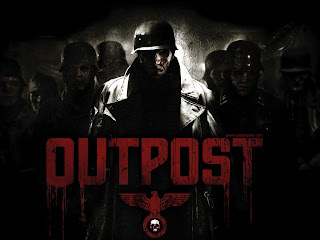 If this offering is half as good as the atmospheric masterpiece that was Familiar then we can expect very good things. Written and Directed by Josh Heisie and produced by Bruno Marino, The Prospectors Curse seems to be a very apt and descriptive title. Set during the Klondike Gold rush of the 1890’s, Theodore “Tubby” Ellsworth and Jack smith are two criminals on the run, lost in the untamed wilderness. When they stumble across a mutilated Prospector, dying on Indian ground, they promise to give him a Christian burial. The fugitives break their oath and steal the old man’s gold…but that night, the Prospector’s corpse returns to make them pay! Horror Shorts are certainly a great way for directors to get their visions out there and in recent years they have grown in both credibility and quality. 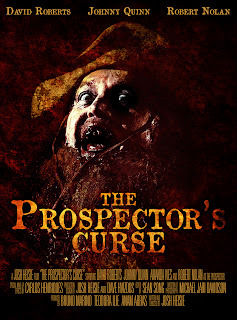 The Prospectors Curse sounds like it could contains all the hallmarks to make it a very enjoyable Random Horror film. 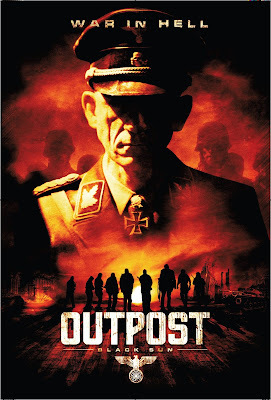 More news to follow and as soon as I get my hands on a copy of the film, I will post a review. See below for more Production information. For up to date information and some great behind the scenes shots! A western-themed horror film entitled “The Prospector’s Curse” has wrapped production near the remote town of Ponty Pool, Ontario. Set during the Klondike Gold Rush of the 1890’s, the darkly comedic short is Written and Directed by Josh Heisie (‘Mail Order Bride’), Produced by Bruno Marino (‘Anything Goes’) and is currently in Post Production in Toronto, Canada. 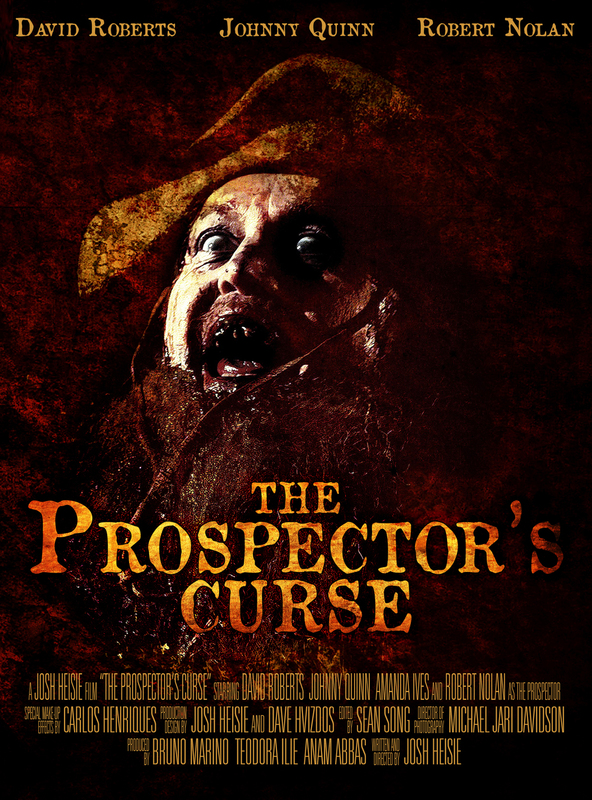 The talent lineup for “The Prospector’s Curse” includes David Roberts (‘Curious and Unusual Deaths’), Johnny Quinn (‘Mind’s Eye: The Series’), Amanda Ives (‘I Hate Toronto: A Love Story’) and Robert Nolan (‘Worm’). Rounding out the creative team are Director of Photography Michael Jari Davidson (‘SICK’), and Special Effects Makeup Artist Carlos Henriques (‘Red: Werewolf Hunter’) of The Butcher Shop. There’s blood in them there hills! The vengeful corpse of an old prospector haunts two gold thieves as they struggle for salvation. Theodore “Tubby” Ellsworth and Jack smith are two criminals on the run, lost in the untamed wilderness. When they stumble across a mutilated Prospector, dying on Indian ground, they promise to give him a Christian burial. The fugitives break their oath and steal the old man’s gold…but that night, the Prospector’s corpse returns to make them pay!